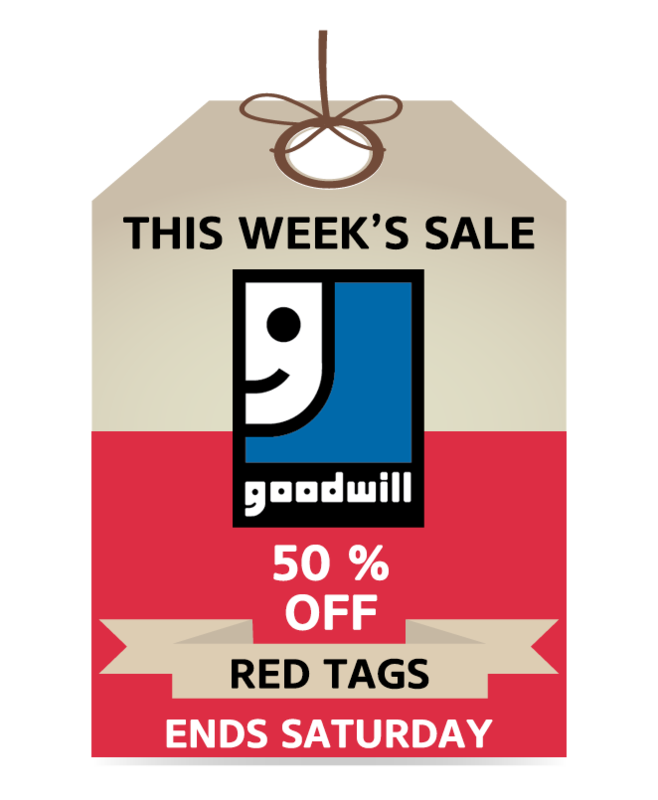 At Goodwill, we’re all about dedication — and in the case of our upcoming first anniversary celebration for Career Connections, we mean that literally! 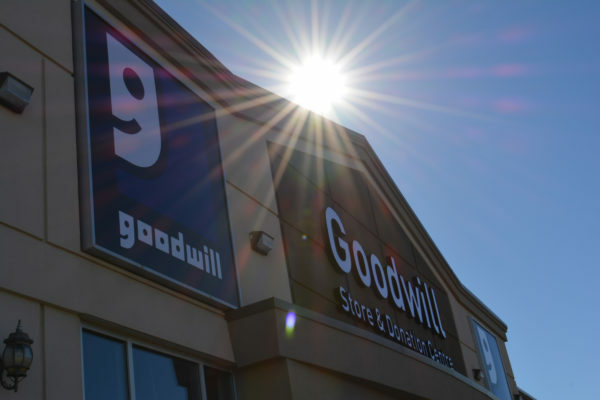 Career Connections is at the heart of Goodwill’s mission to leverage contributions from donors and shoppers to create social good. 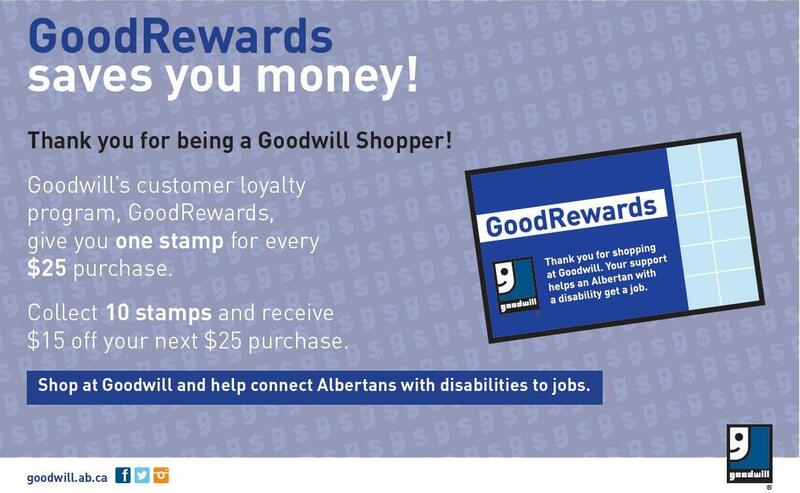 The Career Connections programs assist Albertans with disabilities in obtaining and maintaining meaningful employment. The first anniversary of our Career Connections team and the many people they help through the Career Connections programs are one example of dedication — and we’ll be showcasing another example with a dedication to Valerie Thornton, a beloved and missed member of our team. Valerie Thornton was a hardworking Goodwill employee for 21 years prior to passing away in 2012. Valerie’s cheerful smile, her love of strawberry ice cream and the joy she found in bowling live on in our fond memories. And not only did she brighten the days of all she worked with, but her impact lives on through her estate’s contribution to Goodwill. Valerie’s generosity serves as an example of the lasting influence donations to Goodwill have on the lives of Albertans. Her contribution will help others seize opportunities and reach for their own dreams and goals for years to come — now that is incredible dedication! 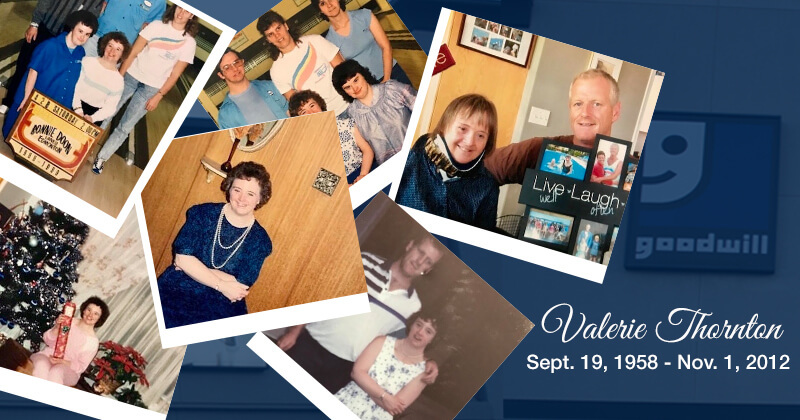 In Valerie’s memory, we’re doing a dedication of our own by honouring her at our Career Connections Centre, where Goodwill team members create job opportunities for Albertans with disabilities. 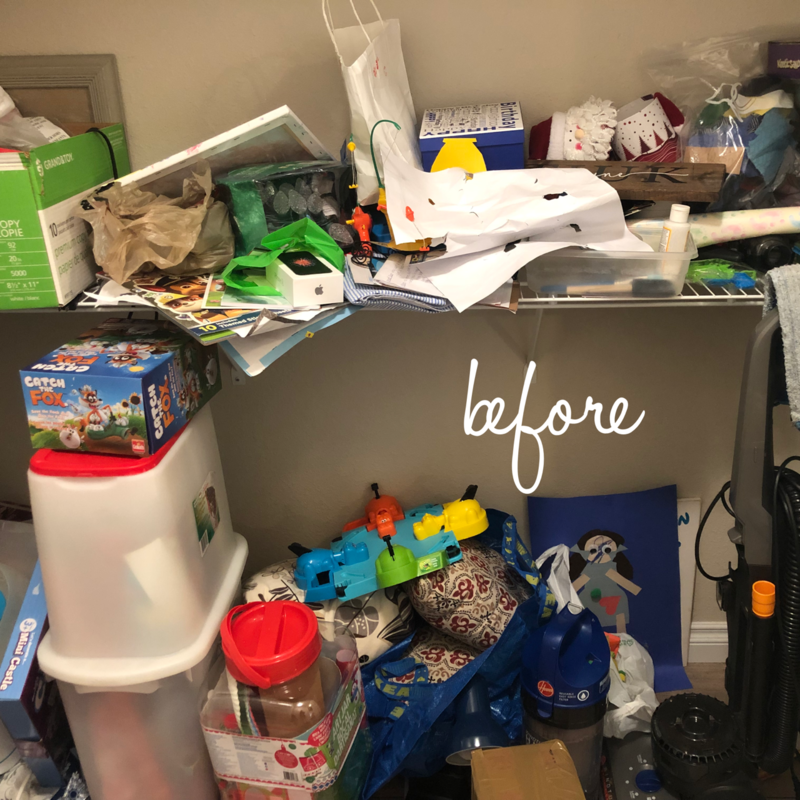 Thanks to the generous contributions from Albertans like Valerie, the Career Connections team can continue their work creating individualized plans for clients focusing on skill-building, customizing work opportunities, and job coaching. So thank you, Valerie, for investing so much of yourself in Goodwill, and for even now helping us with our mission of providing career training and jobs for Albertans with disabilities. We will think of you next time we enjoy some strawberry ice cream on a warm day or wear purple, your favourite colour. For more information on Career Connections, visit the Path to Employment page on our website.